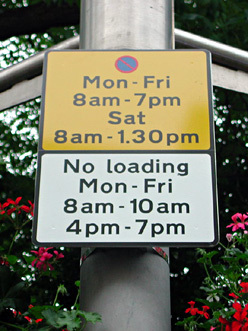 Scheme design or on-street checking of Traffic Order requests. Detailed design work, including marking and signing requirements and bill of quantities. Review of consultation responses, committee reports and modified designs. Drafting of public notices, advertisements, statements of reasons, amendment orders and implementation plans. We also own the full range of Buchanan Computing applications to help provide your sign designs, lining schemes, proposed orders and consultation plans. We have provided the above services for both long term clients and for one-off commissions when a specific task is required or when a resource shortage has resulted in a need for short term external support. We often help new and existing clients when a backlog occurs and ParkMap needs to be updated. We would be happy to discuss any level of support you may require so please do not hesitate to contact us.